Stan Bozich is a veteran Royal Oak firefighter of 25 years, who always loved and admired our brave men and women in the military. Since an early age, Stan became a collector of military artifacts. 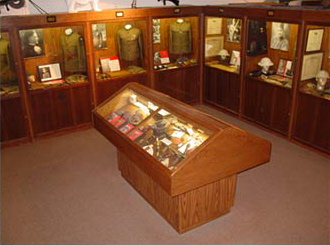 Stan opened this unique museum in the name of all of Michigan’s brave service men and women who have earned distinction. The Michigan’s Own Military and Space Museum is not a showcase of guns and ammunition; it is a museum of the faces and heroic stories of Michigan’s bravest veterans who fought, and often died in the line of duty, serving their country. He learned of the Polar Bears as a very young man and soon befriended a number of the them. Stan not only attended Polar Bear reunions, but as the decades passed and the Polar Bear soldiers grew older, Stan begin organizing the reunions, and helping the families of the Polar Bears in “getting the boys together again” to reunite well into their 80s and some into their early 90s. Stan was so loved and admired by the men of the Polar Bear that they entrusted to him their uniforms, diaries, rifles and their memories. 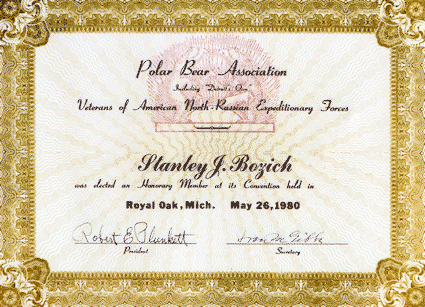 "The Boys" named Stan an Honorary Polar Bear, and frequently visited him at Michigan’s Own Military and Space Museum in Frankenmuth, Michigan. One of the most viewed wings of the museum is dedicated to the courageous men of The North Russian Polar Bear Expedition of 1918/1919. Many of the diaries and photographs used in Voices of a Never Ending Dawn were provided by Stan Bozich and Michigan’s Own Military and Space Museum. 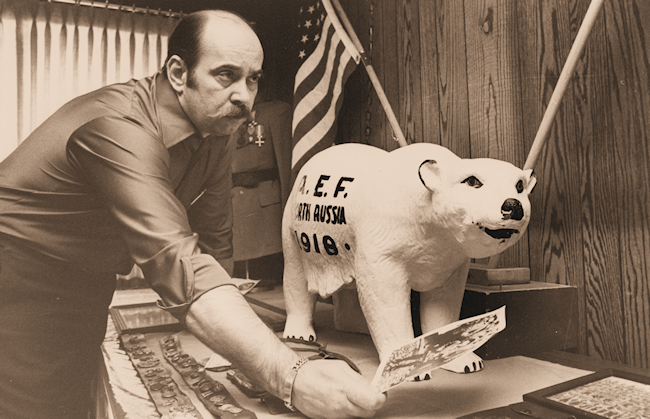 Stan also provided stories of many of the heroic Polar Bears whom he knew personally. We invite you to come and visit this moving tribute to the Polar Bears and all of Michigan veterans in Frankenmuth, Michigan.